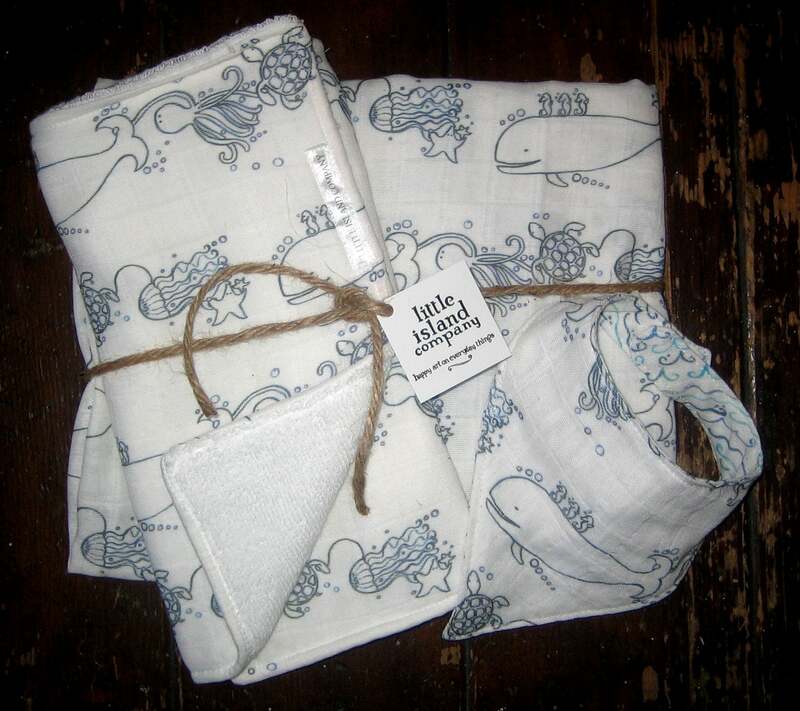 Whale and Friends print three piece gift set includes swaddle blanket (35X35), burp pad, and scarf bib. 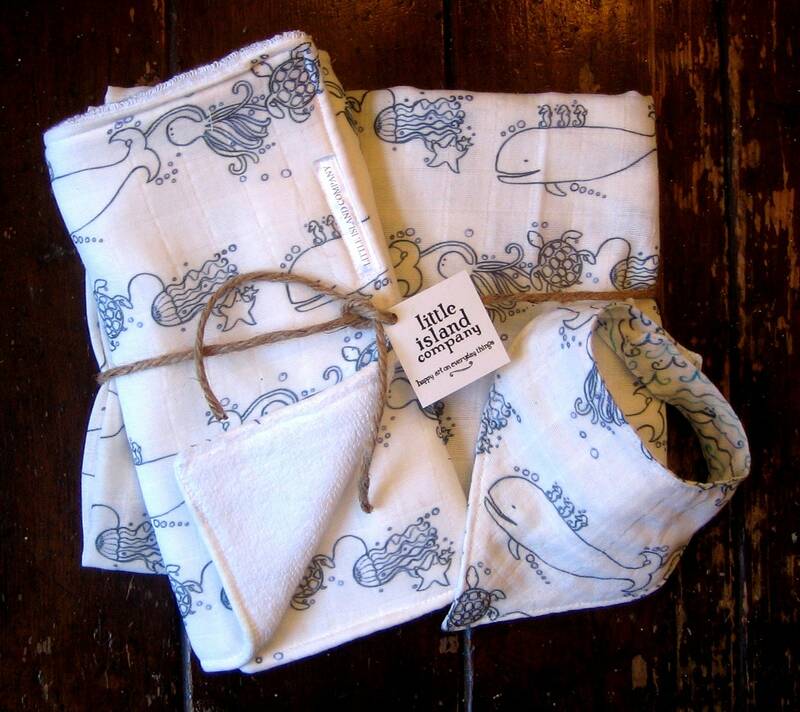 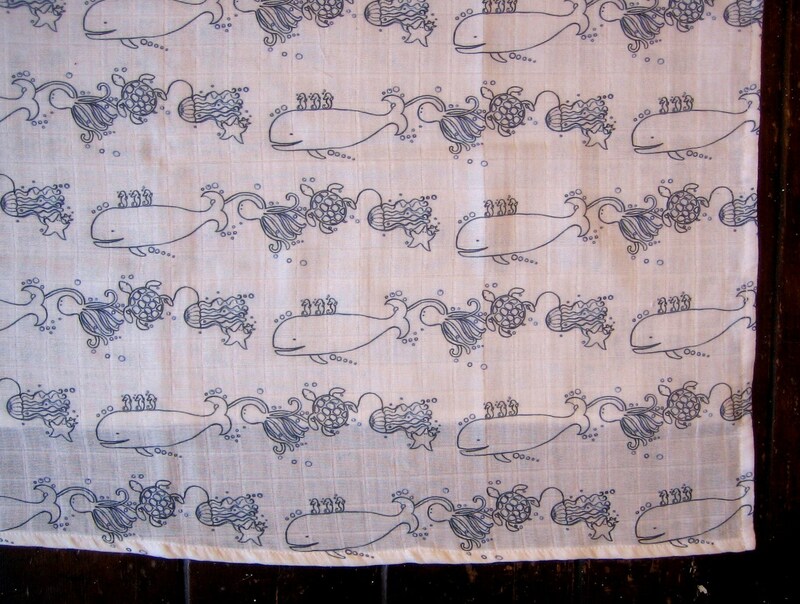 Original whimsical whale print from Little Island Company is perfect for swaddle blanket ~ 100% organic cotton gauze, lightweight, and soft. 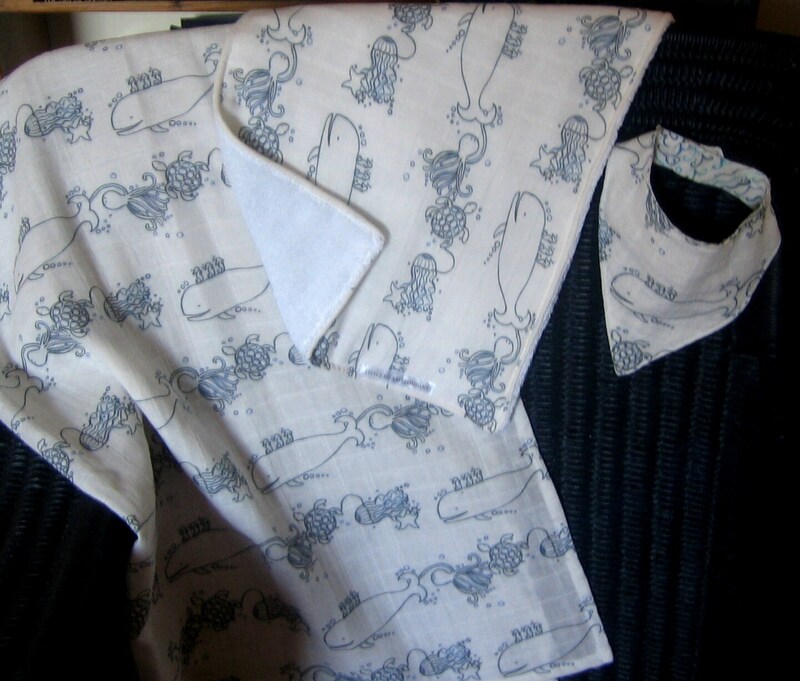 Fabric gets softer with washing. 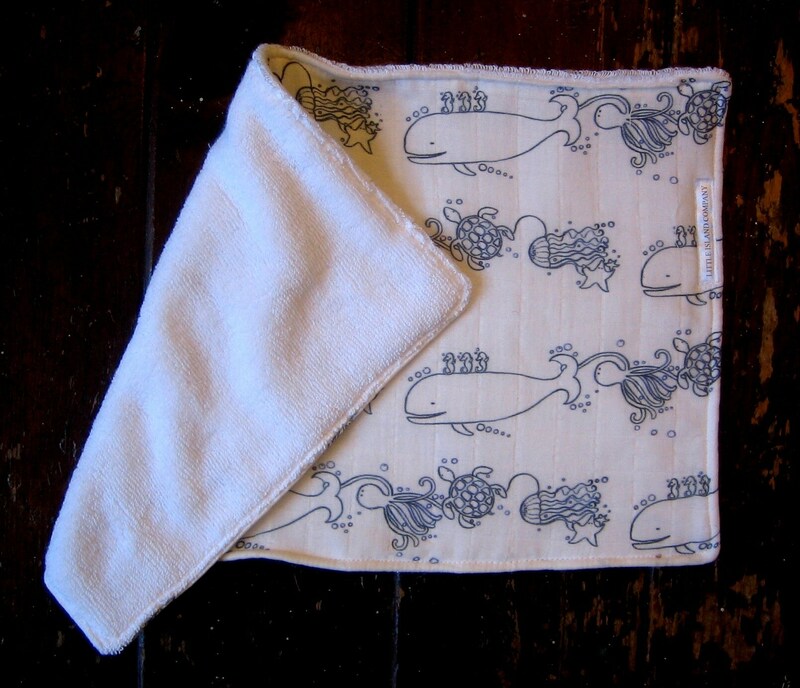 Burp pad has print on one side and organic cotton terry cloth on the other. 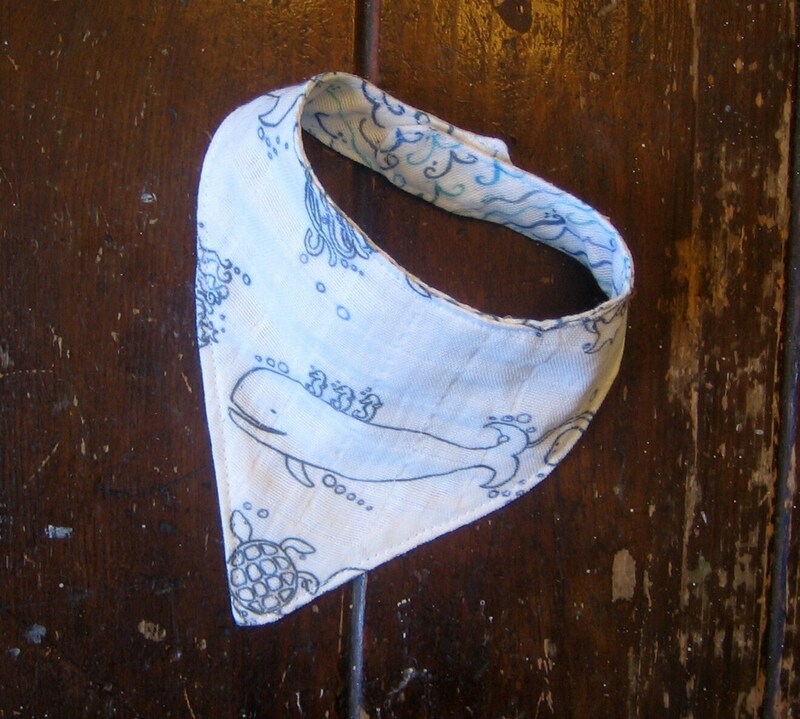 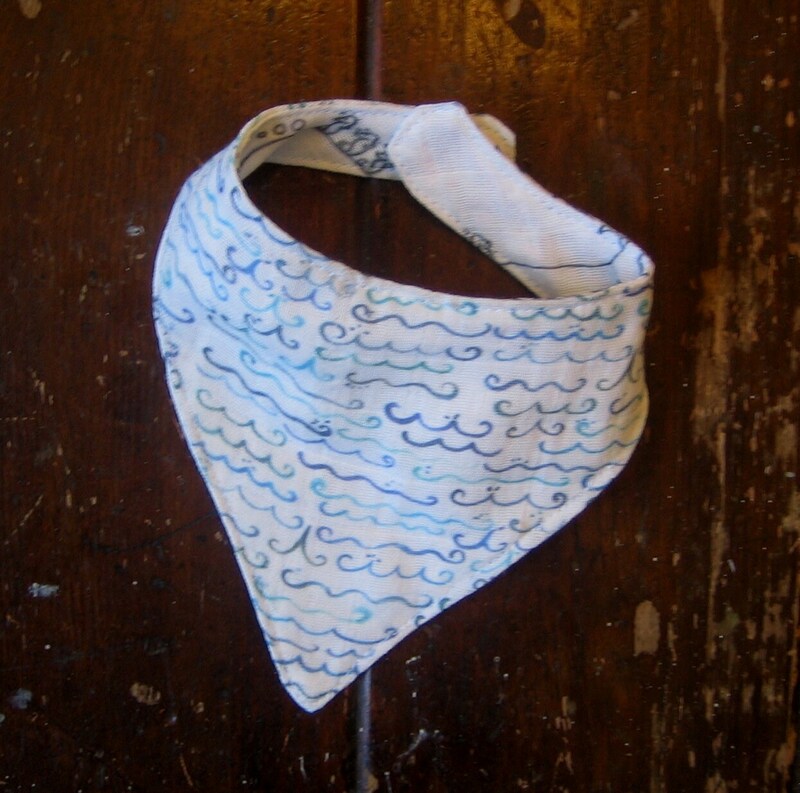 Scarf bib is reversible with little wave print on one, whale on the other. 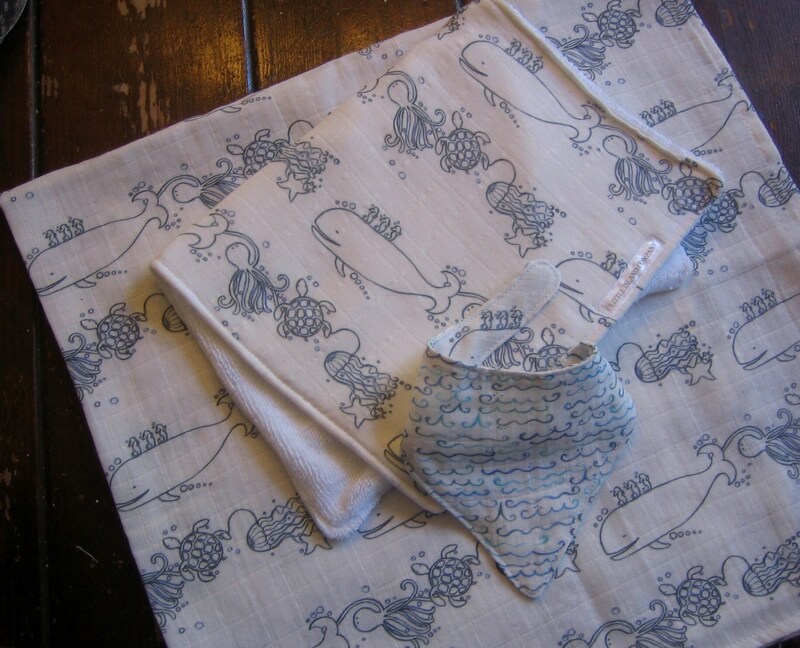 Bib fits from about 1 month to 1 year.